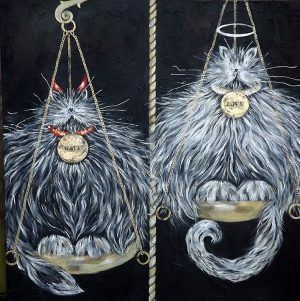 “White Persian” by Dani Bergson is a new piece of cat art. 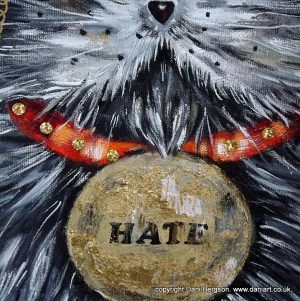 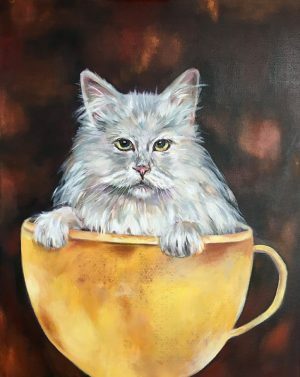 Painted in acrylics and mixed media on a Deep Edge box canvas, it depicts a very fluffy, rather majestic White Persian with a gold rose wallpaper ground. 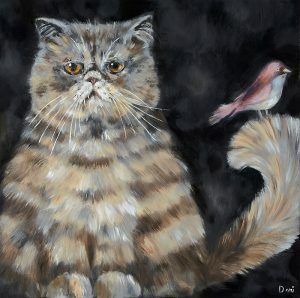 Now available as a Limited Edition Print.